Growing up, I still remember going to the movies to see The Little Mermaid for the first time. This was the time when classic Disney animated movies were making a major comeback. Little did I know that one day these movies would be a huge part of the expansion of New Fantasyland in Walt Disney World. When TechyDad and I went to the preview for the Grand Opening of New Fantasyland, we were able to check out Journey of The Little Mermaid several times. It was in the evening, but the glow of the area was amazing and inviting as you walked into the queue. After winding your way around the queue and checking out all of the details in the area, you are seated in a giant clam shell. This will be your mode of transportation as you enter into the world of Ariel. From here on out, you are a part of her world. 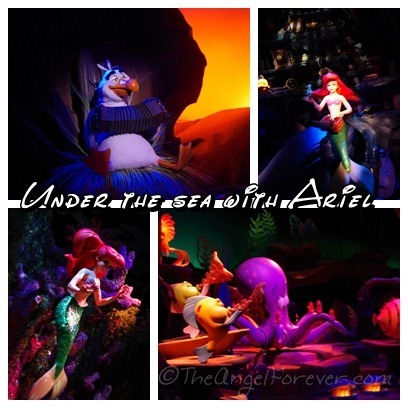 As you head under the sea, you are greeted by all of the characters from The Little Mermaid. 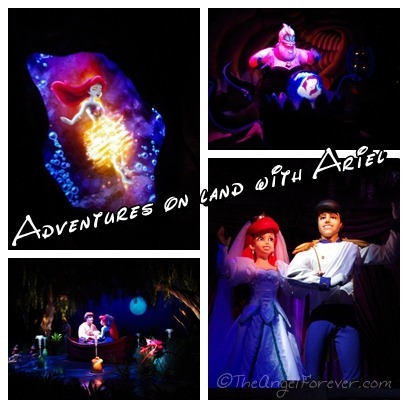 The vibrant colors, sounds of water, fun scenes, and favorite songs are all there to keep your senses engaged as you continue on your adventure with Ariel. Of course, Ursula appears and Ariel eventually starts her journey on land where she meets Prince Eric. The level of details and beauty throughout the ride truly are amazing. Disney imaginers have done a magical job bringing Ariel and her world to Walt Disney World in the New Fantasyland area. 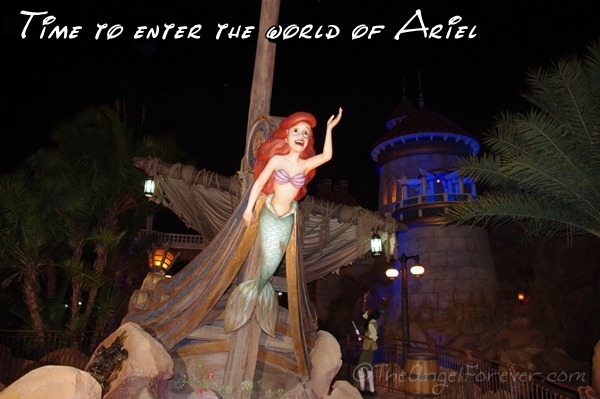 If you have been on The Journey of The Little Mermaid in New Fantasyland, what is your favorite part of the ride? If you have not been yet, what are you looking forward to viewing in person?